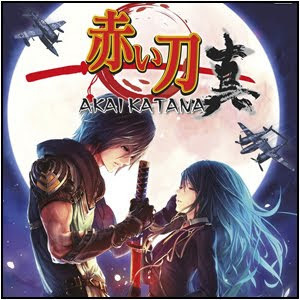 Akai Katana Shin 赤い刀・真 is a Schmup (Shoot em’ up), “Bullet Hell” type game that originally debuted back in 2010 is getting an HD port and is now making its way to the Xbox 360 on May 11 (Europe)/May 15(North America) 2012 from CAVE Interactive (Known for its manic schmup games like DoDonPachi). 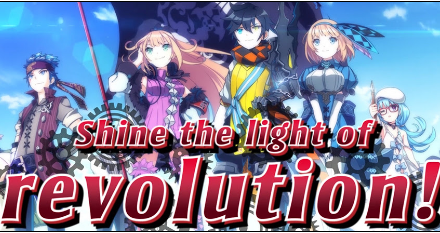 In this 2D Shoot em’ up you are a small rebel group fighting against a tyrannical empire who have harnessed the power of the Blood Swords; powerful weapons that require human sacrifices and in turn, grant their users power. This is my little look into Akai Katana Shin 赤い刀・真, CAVE’s HD port for Xbox 360. Akai Katana Shin赤い刀・真 is a 2D Schmup game, just like DeathSmiles, but I feel it is more of a true “Bullet Hell” game that is similar to the Touhou series in the way the bullets are presented, at least from screen shots and the game play I have seen makes me believe so. I like the character art and how they present the game in the trailer above, not only that, I like the ninja theme it has going with it. As far as the graphics, I see a big improvement over DeathSmiles (Which ultimately lead me not to really try the game out) but it still holds somethings to be desired in my opinion, but the raw action alone I am seeing is enough to make up for it. I have always enjoyed these types of games and getting something I can play on my console besides just Ikaruga would be nice to add to my collection (Although I did play the Castle of Shikigami III when I had my Wii). Character Select Screen. From Left-to-Right: Tsubaki Shinjou, Batan Saionji, and Joon Kobayakawa. Some more stuff I want to cover about Akai Katana is basically about how the game is said to handle with the different mechanics and what players can probably expect based on this. First off, the game has three main modes, two of them being called “Akai Katana“(Arcade), and “Akai Katana Shin” (Shin), the former is meant to play like the older Arcade Version, the latter is an exclusive for the Xbox 360 gaming console. 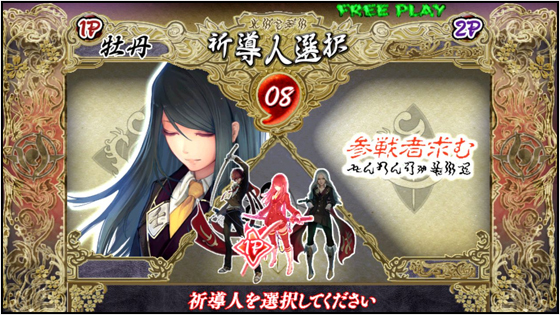 They have released two tutorial videos, although in Japanese, about how to play both versions. You can find them by clicking HERE(Akai Katana) and HERE(Akai Katana Shin). Basically, dependent upon which mode you have different things are available to you yet very similar in how they perform; the Shin mode, Arcade Mode, and Zetsu mode all feature different takes on the same game play mechanics and a few additions dependent upon which one you choose. This is the original arcade release, with the primary game element is to cancel out your enemy bullets and turn them into gold. You will do this by first collecting energy and saving up in order to enter Nenshin Mode (Ninja Mode) where the ship takes on the Ninja character you used instead; you gain Offensive and Defensive mode as opposed to the ship forms focused and spread shot modes. Offensive Mode allows you to shoot powerful shots and Defensive Mode allows you to reflect all incoming enemy bullets and become invulnerable; you shoot your offensive shot and kill the enemy and turn all bullets around the enemy turns into gold, Defensive Mode allows you to e safe when things become too hectic. This is the revamped HD version of the original arcade release, taking it from the 4:3 screen ratio into 16:9 for modern rectangular TV’s, proving a better look for both the character sprites and the background on stages. The invulnerability and bullet reflection abilities are removed and now replaced with a new mechanic: The ability to store up energy and unleash a row of massive katanas that do insane damage to anything in their way. Also, there is a new level and a new boss in this mode (Nazuna Ayase). There is also Novice Modes, Training Modes, Online Leaderboards, Replay Saving, and Voice Actor DLC. A version of the game that has the same mechanics as the original arcade game but with the extra level and the boss introduced in Akai Katana Shin. Also, since you have gold circling around your character which increases in value dependent on how long its been out (Up to 10,000 points), the limit of 250 has been removed making the ability to score points go even higher. The game feels like it has much promise and can deliver to Shoot em’ up fans in a way that enhances the original experience for those who enjoyed the Arcade release as well as to those who are new to the game and would like something fun and challenging that can last them for a while through the two new modes and an additional stage and boss. My current opinion is that it seems like the most fun 2D Side Scroller Schmup game to date, at least, I like the look of it and the art and the characters; game play will present a different thing and will be the true tell tale testament to how this handles, especially the new mechanics they implemented in “Shin“. 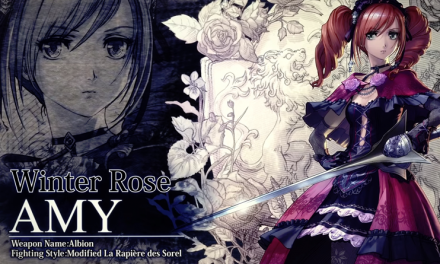 (A demo is already available for Japanese Xbox 360 players for those who have not played the original). Below I have included an art gallery of the characters for Akai Katana Shin 赤い刀・真, so be sure to check it out and let me know which ones are your favorites. I’m RoK the Reaper, thank you for reading and Sayanara! Batan Saionji, Hiirragi, Joon Kobayakawa, Kikyo Saionji, Nazuna Ayase, Shuumeigiku, Sumire Asaka, Suzuran Sanada, and Tsubaki Shinjou.